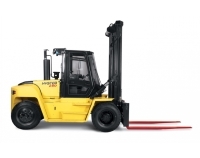 At Pape Material Handling, we are committed to keeping you moving. From our extensive new and used equipment inventory to our 24/7 dedicated service teams, you can trust Pape with your equipment. With locations throughout the West, you can count on superior products and our consistent quality service in our territory. 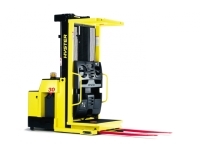 Pape Material Handling is a dealer of leading brands such as: Hyster, Yale, Genie, SkyJack, Mariotti, CombiLift, Utilev, JLG, Doosan, Hawker, Crown Battery, Motrec, and Trackmobile. 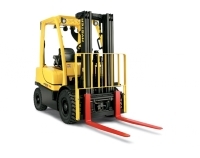 We are also a dealer for all brands Pre-Owned - Container Handlers, Reachstackers and Jumbo trucks. 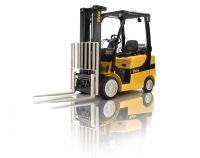 We sell new and used forklifts and take care of the distribution of forklift parts, training and repair/service. Our focus is on providing first-rate care for your new, rental, or used equipment, whether it requires general upkeep and routine maintenance or critical repairs. Your enquiry has been sent to Pape Materials Handling - Seattle.